I am a independence filmmaker from Vietnam and based in Vietnam. So I have a plan to make an international project. That will be a feature length. So i need some skilled writers for co-writing the script for this. 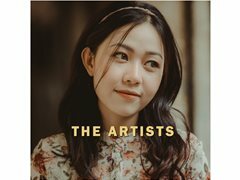 The story is about the connection of artists in different countries via internet. I hope this will make a unique thing we can do. It really hard to say i do it with no budget and need everyone give a hand. If anyone is interested in this, reply me. Your name will credit as writer. Thank you and hope receive your reply soon. Great if you have knowledge about music. If you dont know, no problem. Great if you write love story before.